Arkansas AR State Thin Blue Line Police Sticker / Decal #171 Made in U.S.A.
Arkansas AR State Flag Thin Blue Line Police Sticker / Decal #242 Made in U.S.A. 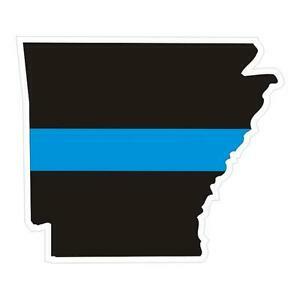 Details about Arkansas AR State Thin Blue Line Police Sticker / Decal #171 Made in U.S.A. There are 3,976 items available. Please enter a number less than or equal to 3,976.